Unicorn marketing roundtable: what brand future can we expect? How are different organizations engaging customers and employees to kickstart marketing strategies, future-proofing their brand in the process? The futures of brands and their marketing strategies are not set in stone. If they are to survive, what factors must marketers consider when trying to engage consumers and businesses alike? 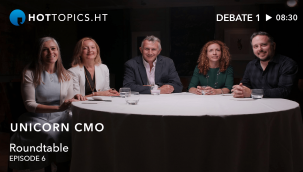 Chris Clark, contributing editor at HotTopics.ht and non-executive director at Aviva, chairs a roundtable with fellow marketeers Bonnie Pelosi, marketing director UK & I, EY; Belinda Rowe, global head of content practice, Publicis Media; Simonetta Rigo, SVP global brand, marketing and customer engagement, Western Union; and Jason Miller, head of content, LinkedIn sales and marketing solutions EMEA, to discuss marketing’s options. "Brands are built in years, managed over quarters and destroyed in hours" - and the stakes are even higher now users are more likely to hold brands to account across social media. Can inauthenticity kill a brand in today's age of social media? Authentic brands are dominating competitors as customers seek validation for their shopping habits, so how can marketers position their campaigns to be as true as possible? Is content really king of the marketing function? 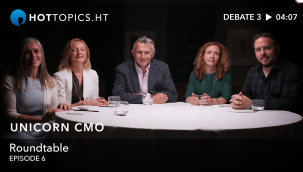 Discover how these global marketing chiefs utilize the benefits of content to improve customer experience and brand exposure.